Updated March 21, 2019: Added manga spin-off news. Updated March 18, 2019: Confirmed That Time I Got Reincarnated As A Slime Season 2. Updated March 12, 2019: Added full spoilers and updated news details. Updated February 26, 2019: Added news of the TenSura OVA episode delay. Updated December 21, 2018: Added key visual for the second cour of the first season. Updated December 7, 2018: Added That Time I Got Reincarnated As A Slime OVA episode announcement and summary. The release date for That Time I Got Reincarnated As A Slime Season 2 will be a great day indeed for anime fans. Affectionately known as Slime Isekai or TenSura, the Tensei Shitara Slime Datta Ken anime has managed to engulf the hearts of fans in a predator-like embrace. While it could be argued that the isekai anime section has been flooded with stories about overpowered characters gathering up harems in alternate worlds, TenSura is an original take on the concept even though it follows some of the standard tropes of the genre. Besides the character development being more interesting than usual, the focus is on Japanese man Satoru Mikami awakening in a fantasy realm as a blind slime monster. Suit-wearing funnyman turned OP slime Rimuru Tempest is hardly a bland potato-kun. Similar to Momonga/Ainz Ooal Gown or Diablo (see our articles on Overlord Season 4 and How NOT to Summon a Demon Lord Season 2), it’s the personality quirks of the main character and how he uses his powers which drive the story. While some characters exist only for comedic relief, that does not mean the other Slime Isekai characters are simply a cardboard caricature meant for viewers to fill in with their own desires. The anime even goes so far as to emotionally build up characters with backstory only to kill them, which is rare in the first season of any anime. Thankfully, anime audiences will have plenty of opportunities to watch the characters from That Time I Got Reincarnated As A Slime grow. The first season was a two-cour anime with 25 episodes that will release in four Blu-Ray volumes starting January 29, 2019. 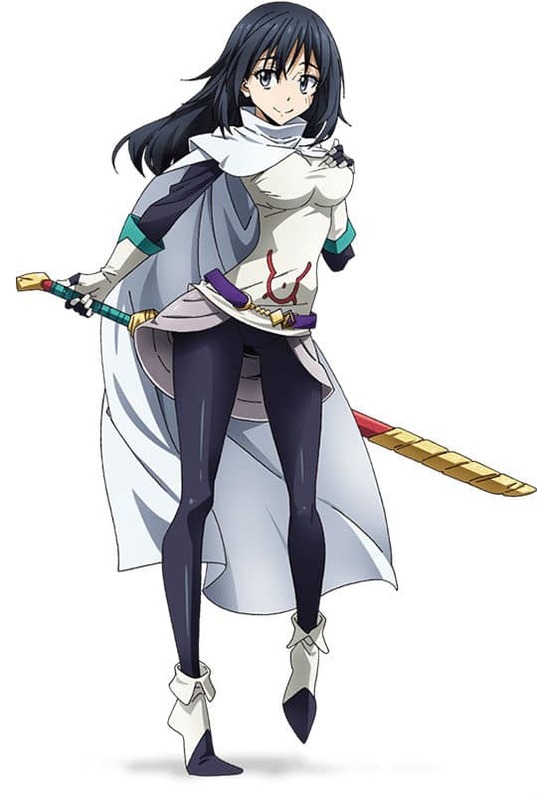 Oddly enough, the main story for the Tensei Shitara Slime Datta Ken anime ended with Episode 23 on March 11, 2019. Episode 24: Black and Mask, was a bonus episode. The episode is an original prequel story by author Fuse about the meeting between Diablo (voiced by Takahiro Sakurai) and Conqueror Of Flames Shizue Izawa and it teases the darker nature of Slime Season 2. 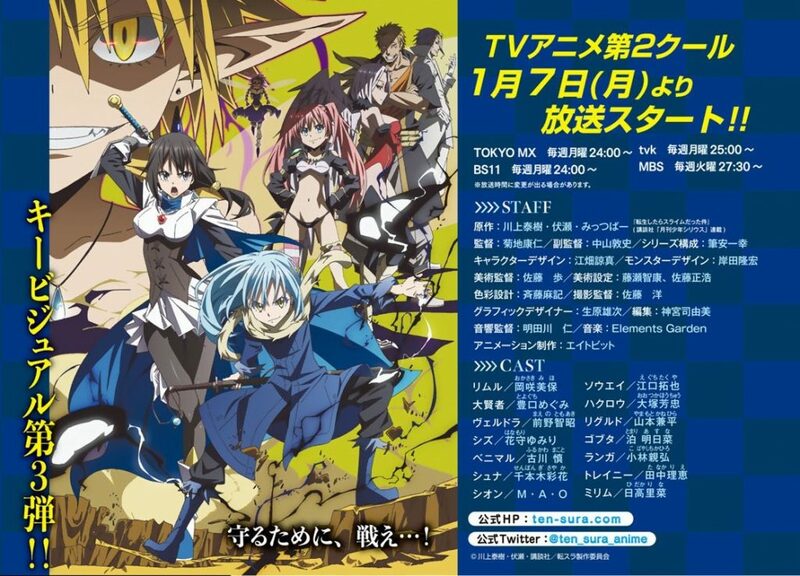 The fact that Takahiro Sakurai was hired to voice Diablo was also a large early hint that TenSura Season 2 was planned early on. After all, the voice actor is known for main roles in popular anime like Code Geass, Ace Of Diamond, and Psycho-Pass (which is finally receiving Pyscho-Pass Season 3). Diablo is hardly a bit role since he’ll play a major part in Season 2. The final episode, Episode 25: Veldora’s Diary, will be a side story from the perspective of the Storm Dragon Veldora Tempest (who is now a huge manga fan). This episode is not anime original since it’s adapting the Veldora’s Diary segments that appear at the end of each manga volume. This article provides everything that is known about That Time I Got Reincarnated As A Slime Season 2 and all related news. As such, this article will be updated over time with news, rumors, and analysis. Meanwhile, let’s delve down into what is known for certain. The story for the anime is based on the Tensei Shitara Slime Datta Ken light novel series by author Fuse and illustrator Mitz Vah. The author has averaged two new books per years, with Volume 13 having been released on September 28, 2018. Volume 13.5 released on January 30, 2019, but it’s a recap novel. Volume 14 is scheduled to release on March 29, 2019. The original web novel series can also be found on the Japanese-language Let’s Become Novelists website. 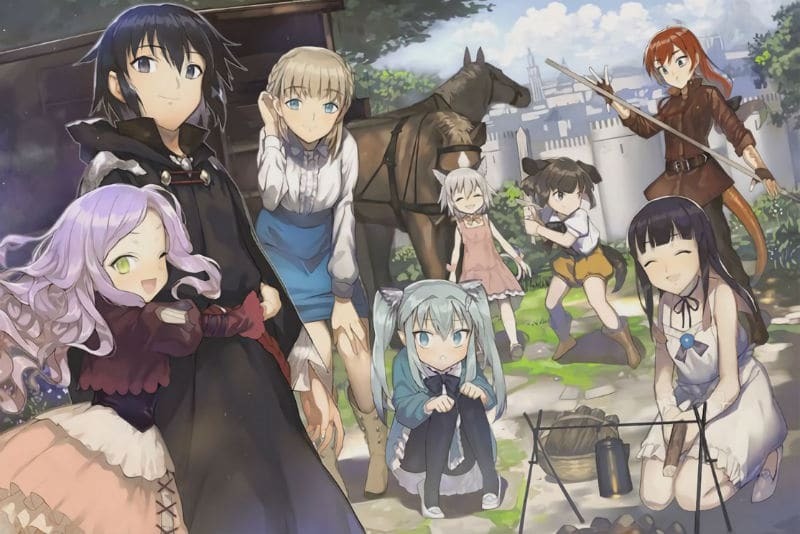 The web novel’s story has already reached a satisfying ending, but the light novels have been expanding on the backstories of characters and introducing new elements. Additional characters/monsters like Charybdis were also introduced. Starting in 2015, Fuse teamed up with manga artist Taiki Kawakami to serialize a monthly manga adaptation of the main story. So far, the TenSura manga is up to Volume 10 and Volume 11 is scheduled to release on March 29, 2019. There’s also a spin-off manga called How Monsters Walk that’s up to four volumes. 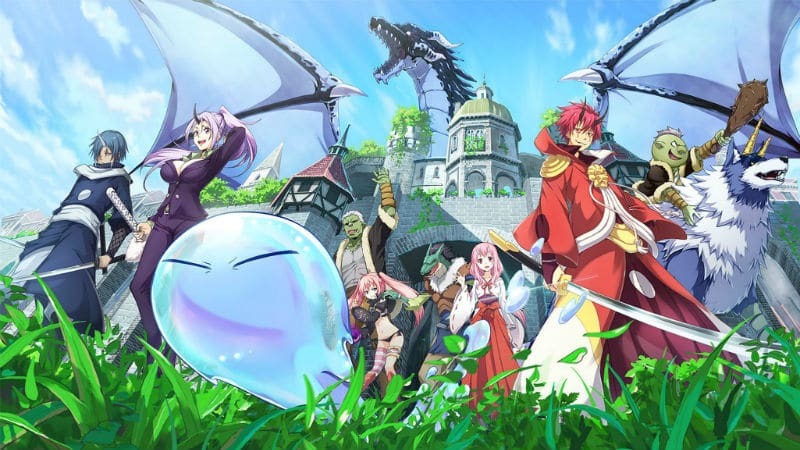 Starting in March 2019, another manga spin-off called That Time I Got Reincarnated as a Slime Another Story: Trinity of the Magic Kingdom (Tensei Shitara Slime Datta Ken Ibun: Makuni Kurashi no Trinity) was launched by the website Monthly Shonen Sirius. New chapters will release on the second and fourth Thursdays of the month. Written by Fuse and drawn by Tae Tono, the new manga tells the story of a girl from the Beast Kingdom of Eurzania named Phos who goes to Tempest on secret orders from Demon Lord Carrion. Yen Press has licensed the English translation of the That Time I Got Reincarnated As A Slime novel series. The English version will be up to Volume 4 as of December 11, 2018, while Volume 5 is scheduled to release on April 23, 2019. The English manga is up to Volume 8 already, but Volume 9 isn’t coming out until March 12, 2019. Volume 10 is scheduled for June 11, 2019. The first season ended on a relatively soft note instead of an epic battle as a final climax. Instead of focusing the ending on the Orc Disaster or the invasion by Charybdis, the anime offered a resolution to one of the major overarching plot points by fulfilling one of Shizue’s dying wishes. Ending in such a way was probably unavoidable with only 23 episodes to tell the tale. The next story arc launches into an action-filled section that requires TenSura Season 2 to adapt properly (see the spoilers below for more details). Overall, it could be argued that the anime has done a better job of telling the story than the light novels. The episodes involving Shizue were quite dramatic, but in the books, she rarely spoke and she never showed off her flame powers by torching giant ants. Shizue was pretty much silent until meeting and fighting Rimuru and only then did she impart her dying wish to seek revenge on Leon Cromwell. The pacing of the anime has allowed for characters to be developed and expanded beyond the source material. The manga-loving Grandmaster Kagurazaka Yuuki was introduced in the second cour and he will play a critical role in future anime seasons. It will be interesting to watch whether TenSura Season 2 expands upon his motivations for his actions. At the same time, the anime skipped much of the world-building contained in the light novels, especially in the second cour. The growth of Tempest as a nation was skipped and details related to humanity and the church were glossed over. Still, the relatively slow overall pacing meant the anime has not devoured the light novels in a single gulp. The halfway point of the anime, Episode 12, culminated in the threat posed by the Orc Disaster and his army of 200,000 monsters threatening the creatures of the Great Forest of Jura. Similar to the Sorcerer Kingdom of the Overlord anime (see our article on Overlord Season 4), this conflict set the stage for Rimuru to create the Jura Forest Alliance centered around his own country called Tempest where the goal is to treat all monsters with equality. These events took place in Volume 2 of the light novel series and Volume 5 of the main manga series. The arrival of Demon Lord Milim and the attack by Charybdis heralded the arrival of Volume 3. 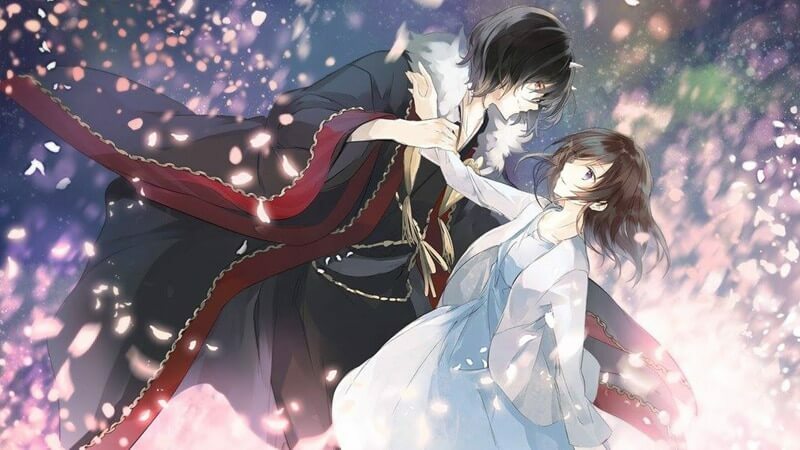 The anime maintained the same pacing throughout so the second cour found an ending for Episode 23 in Volume 4 of the books and Chapter 52 of Volume 10 of the manga series. For those wanting to read ahead, the best starting point is the epilogue of light novel Volume 4. English-only readers only have to wait a little over a month until Volume 5 releases on April 23, 2019. If you’re reading the English translation of the online web novel, begin reading about halfway through Chapter 66: Chance Meeting. The good news is that stopping point leaves plenty of room for a two-cour That Time I Got Reincarnated As A Slime Season 2. Assuming the anime is popular enough, maybe some of the books could even be adapted into a TenSura movie? The bad news is that the Japanese manga chapters were barely caught up with the anime by the time the anime’s finale episode aired in 2019. Therefore, manga readers wanting to read ahead to find out what happens beyond That Time I Got Reincarnated As A Slime Episode 24 will have to wait impatiently as new chapters release. The official website for the TenSura series has announced that a That Time I Got Reincarnated As A Slime OVA episode will be released as part of manga Volume 13. The Original Animation DVD (or OAD) will be bundled only with the limited edition of the manga that releases in December 2019. This TenSura OVA episode was originally supposed to release as part of the special edition of Volume 11 but has been delayed due to production issues. The special edition of the Volume 11 manga has been canceled but the regular edition is still coming out out March 29, 2019. The story begins with Rimuru realizing that the city of Tempest has no form of entertainment. When he proposes a sumo wrestling tournament that everyone can enjoy together many start aiming for the prize. Not only does the ogre-turned-kijin/oni Benimaru enter the Sumo Tournament, women like Shion also enter the fray! As of the last update, studio 8bit or any company related to the production of the anime has only officially confirmed that the Tensei Shitara Slime Datta Ken Season 2 release date will be some time in 2020. The production of a sequel was announced in March 2018, but the exact That Time I Got Reincarnated As A Slime Season 2 premiere date has not yet been announced. Once the news is officially confirmed this article will be updated with the relevant information. If one of the goals for the anime was to advertise the books then it worked. The Slime manga series topped the charts of Book Walker while the light novels were number nine in the top 10 list. The TenSura series joined other favorites like Overlord, KonoSuba, DanMachi, Goblin Slayer, Death March to the Parallel World Rhapsody, and No Game No Life. Note: This plot summary of TenSura Season 2 was updated once That Time I Got Reincarnated As A Slime Episode 23 released in Japan. The plot summary/synopsis assumes the second season will adapt through Volume 8. Season 1 ended right before the slime hit the proverbial fan. The first season foreshadowed the beginning of TenSura Season 2 by mentioning the perks of becoming a True Demon Lord. The fairy Demon Lord Ramiris also explained that a person had to be “fallen” in some manner to become a Demon Lord. But Rimuru certainly wouldn’t have chosen what happens next just for him to gain an increase in power. The person seen stalking Rimuru at the ending of Episode 23 is Hinata Sakaguchi. An Otherworlder who was summoned at age 15, Hinata is now the leader of the Imperial Guards. She answers directly to the Pope of the Western Saints Church, which preaches the destruction of all monsters. The beginning of TenSura Season 2 will probably open with a brief recap of how Rimuru came to be traveling home, but the action will pick up right away since Hinata attacks Rimuru and nearly kills him. Rimuru barely manages to escape because she thinks he is dead and he rushes home. Meanwhile, Tempest was facing its own attack. In order to protect the ideals of Tempest, Rimuru had gathered heroes to protect the alliance. This goal gets complicated quickly when heavily armed humans from the nearby Kingdom of Farmus invade Tempest at the behest of the Western Saints Church and the country’s top military brass. At the same time, pink-haired Demon Lord Milim Navathe declares war on the Beast Kingdom of Yuurazania… and they’re supposed to be allies of Tempest! Worse, all of this takes place when Rimuru is nowhere to be found! When Rimuru arrives home he finds Tempest besieged by the enemy army. The attack by Farmus results in the deaths of numerous Tempest civilians. Even the ogress Shion is killed by the Blood Shadows, a force working under Hinata that handles the dirty work of the church. Rimuru is devastated but Great Sage offers a solution that has a three-percent chance of success. 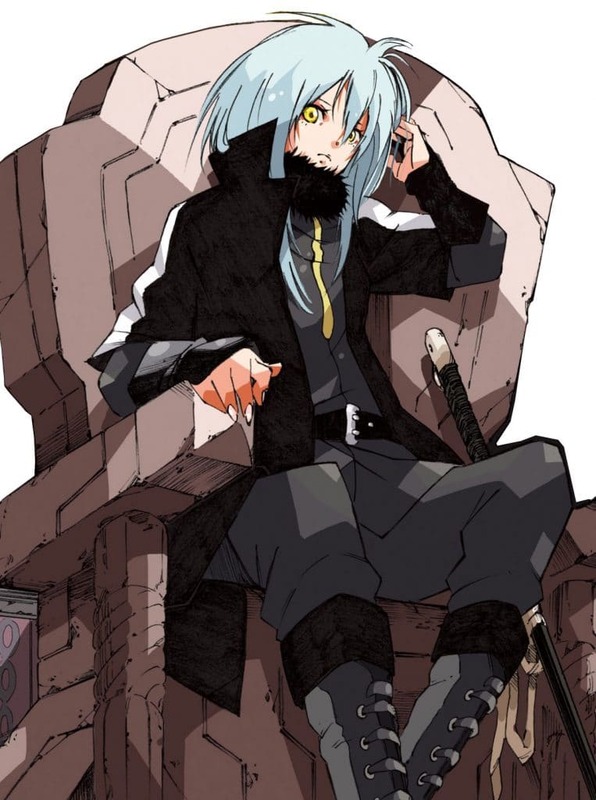 In order to resurrect everyone Rimuru must become a True Demon Lord, but the cost for the ritual is high: 10,000 souls. Rimuru takes a cue from Ainz and massacres the invading army, killing 10,000 people in an instant, and evolves into a True Demon Lord. With the power of a Demon Lord, Rimuru is able to resurrect Shion, grant new abilities to his people, and summon a demon that he names Diablo. The resurrected citizens become the Yomigaeri, an immortal fighting squad. Even the Great Sage eventually evolves in Slime Season 2, allowing Rimuru to revive the Storm Dragon Veldora, with the monster’s spirit inhabiting a human form as one of Rimuru’s clones. With the attack on Tempest ended, Rimuru establishes alliances between Tempest, the Dwarf Kingdom, and several human countries. But this conference is interrupted by the fairy Ramiris, who warns Rimuru that he faces danger due to the upcoming Walpurgis Banquet of the Demon Lords. The Walpurgis Banquet is a night that usually heralds in destruction for the land and its citizens. Calamity followed the last time a Walpurgis Banquet was held over a thousand years before. All the Demon Lords must attend and that now includes Rimuru. A conspiracy to destroy Tempest is lurking between the Demon Lords and Milim is now under the thumb of the conspirator pulling the strings. The main topic of discussion for the Walpurgis Banquet is how to punish Rimuru for becoming a Demon Lord. But Rimuru is able to sniff out that conspirator and confront the powerful person. This battle is only the beginning of a civil war that erupts in human kingdoms after the failure to subjugate Tempest. Rimuru finds himself taking on the full might of the Western Saints Church and thus Hinata. While she was able to beat Rimuru before, now he’s a Demon Lord. But it turns out there’s a little more to Hinata than might first be guessed. The second half of Tensei Shitara Slime Datta Ken Season 2 will get a little crazy as combat abilities start to resemble Dragon Ball Z levels of power creep. Rimuru has Ramiris construct an Underground Labyrinth for entertainment but it’s the Tempest Arena that will hold an exhibition of power called the Tempest Tournament. All of that is just the lead up to even bigger confrontations. These earthly wars will eventually escalate into a heavenly war between demons and angels. The series’ villain will be revealed and this person hopes to unify the world as one and lead it to destruction. Unfortunately, anime fans will have to wait until the That Time I Got Reincarnated As A Slime Season 2 release date to watch what happens next. Stay tuned!